Opera today announced the launch 0f Opera Mini 5.1 an update to the popular Opera Mini 5, which further improves the browsing experience on phones with limited memory. The company claims the new update is highly recommended for users of Nokia S40 feature phones with limited memory, such as the popular Nokia 5130 XpressMusic, Nokia 6300 and Nokia 2700 handsets. This upgrade will also benefit phones with a small screen size, such as the Sony Ericsson K550i and Sony Ericsson W810i phones. In addition, Opera Mini 5.1 will improve the browsing experience for those who have encountered out-of-memory issues or the need to reload open web pages while surfing with Opera Mini 5. 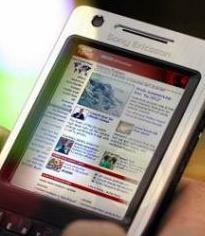 The update is not critical for Opera Mini users on smartphones or high end devices. To download the latest version one need to visit m.opera.com with your phone’s default browser and Opera will automatically select the optimized version for your phone.